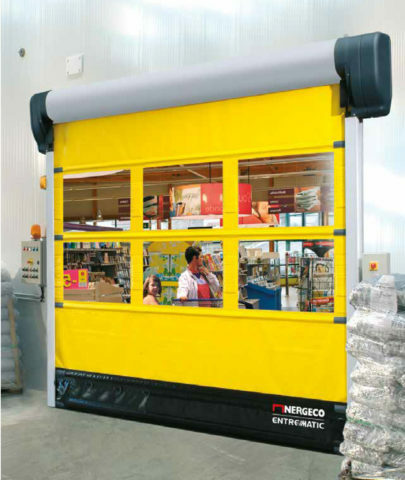 The Nergeco trekking fold-up doors are designed for heavy duty, external applications. 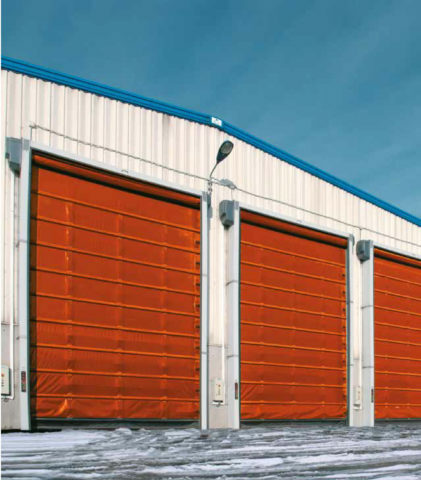 Nergeco high performance doors, supplied and installed by MTCSS, are designed to help you cut your energy spending by up to 30% due to their ‘just in time’ opening and closing cycle – Nergeco doors are designed to open and close at the same high speed, minimizing the time that they are left open. 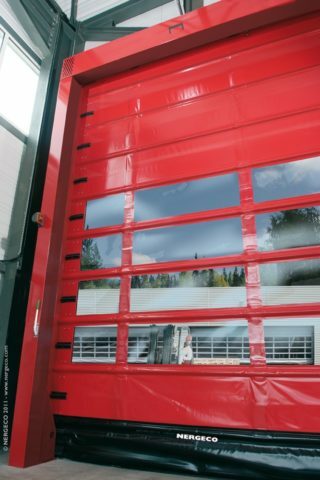 Due to the patented Trekking curtain used in these doors, they are able to resist high winds and the conduction through the door can be reduced by fitting a double layer curtain with insulation inserts. If you would like to enquire about a Nergeco exterior high speed door, get in touch with us today! Call us on 01886 833381, email us at sales@mtcss.co.uk or follow the link below to fill in a contact form. 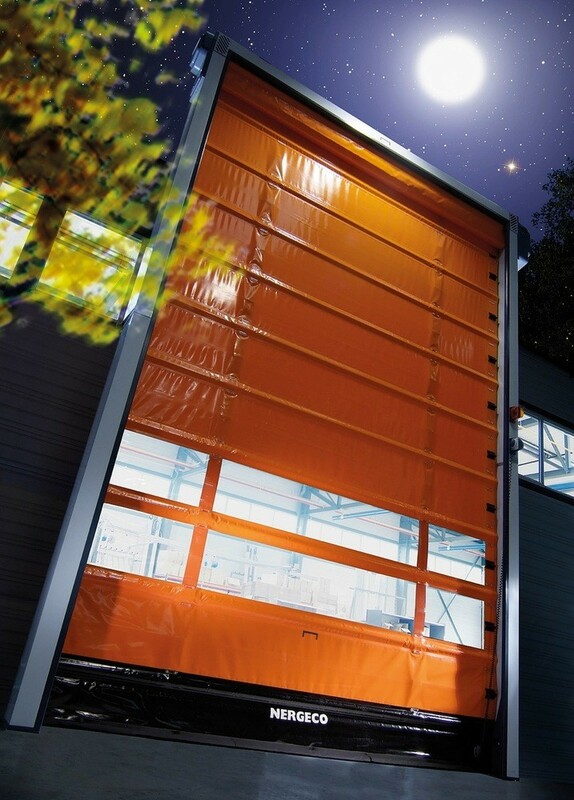 The steel folding door for large outdoor applications – weather proof and wind resistant up to class 5. 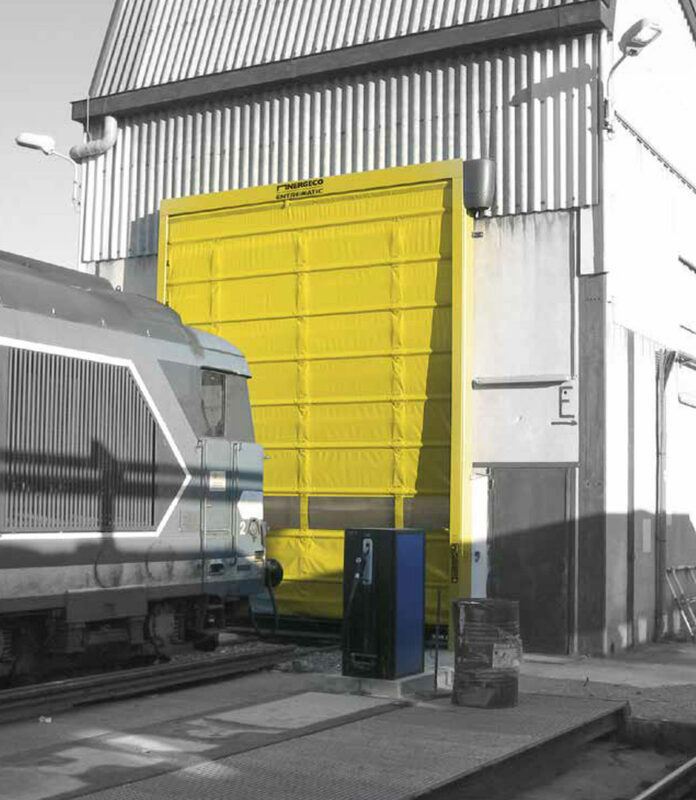 The Nergeco T Enduro 2 is a steel high performance door suitable for use in corrosive environments, with long-lasting built in drive for anti-fall protection. The external door has a self-supporting steel structure up to 11x11m and is available with a 1 or 2 layer curtain for increased insulation – it also has the option for wide angle panoramic transparency. 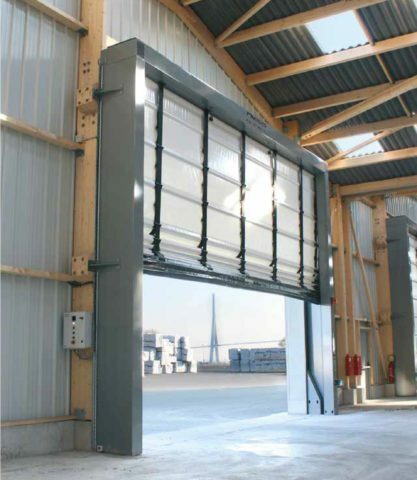 Steel folding door for large outdoor applications – weather proof and wind resistant, up to class 5. 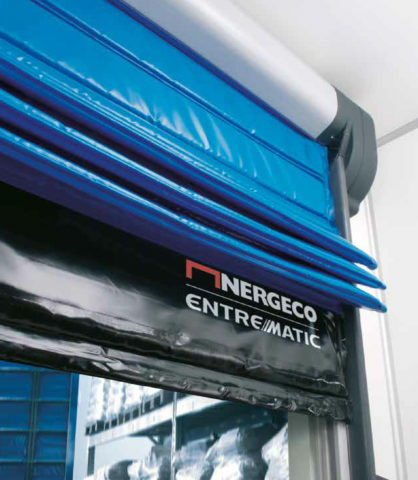 The Nergeco T Enduro 5 has a multi-composite structure suitable for corrosive environments, with a direct drive engine for anti-fall protection. The exterior high speed door has increased insulation and is available with a 1 or 2 layer curtain – plus it has the option of having wide angle panoramic transparency. 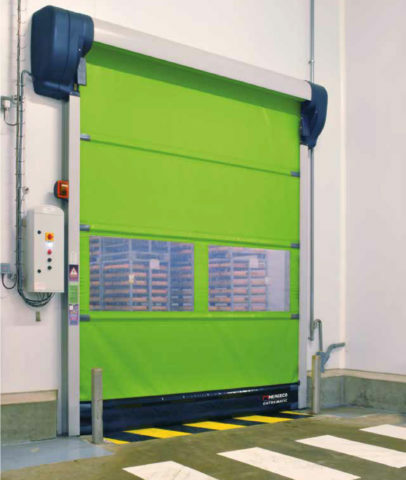 The Nergeco T star 2 is a steel high performance door, with built-in direct drive engine with anti-fall protection. 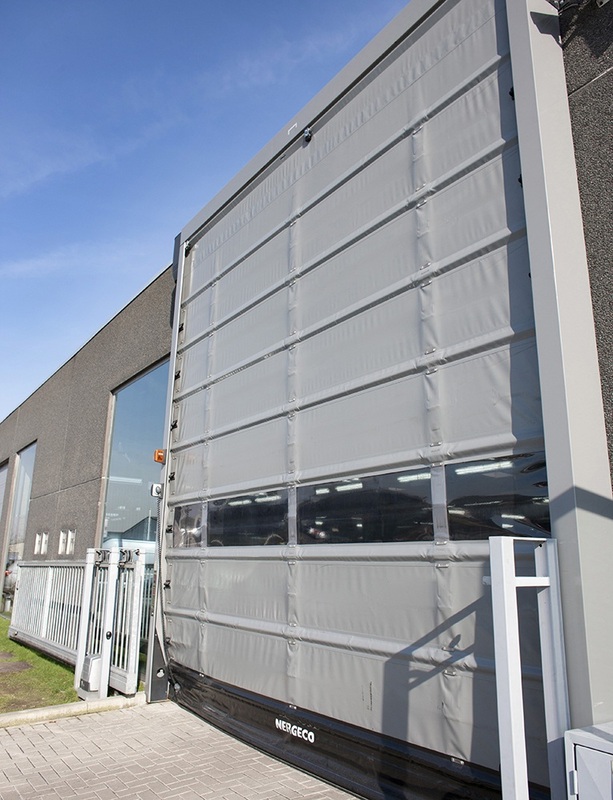 The external door has a self-supporting steel structure up to 6 x 6m and is available with a 1 or 2 layer curtain for increased insulation – it also has the option for wide angle panoramic transparency.